Weekly Update 2017-02: Moving back toward my Scandinavian electronic roots, wondering how Adobe uses feedback to make product decisions, and watching two pieces of artificial intelligence argue with each other online. I've been listening to a lot of this Norwegian producer of late. I guess I've been doing a lot of writing, and this type of music is well attuned to thought process and organization. Basically, if you want to get some thinking done and stay motivated, this is the music for you. And of course, not a lyric to be found. As it should be. I actually got myself together and took the time to go through all of the practice videos for my Brazilian drumming on YouTube on Saturday. I attempted to write out little tunes that relate to the hand symbols for the beats, so that I can more easily remember them. That said, I only had time to practice the repique parts for my lesson on Sunday. I'll have to do the surdo parts tomorrow. 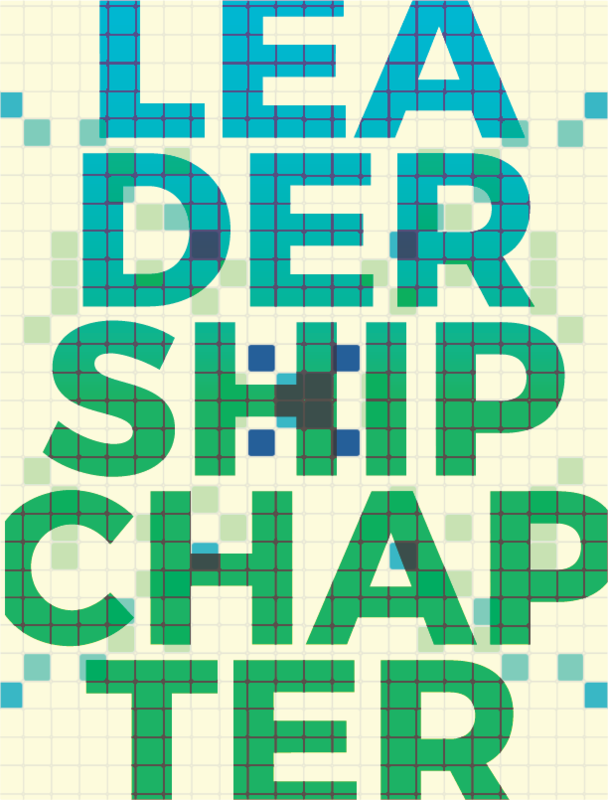 I also made a very special poster for the leadership chapter at my work. 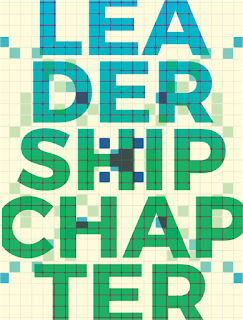 I was inspired by a graph representing the chapter's votes for which book they'll read together next. I finally started to overhaul and clean out my files in all the different places they live (across two computers, two external hard drives and two cloud services. I especially had the good thought to keep my personal work in the drive so I can work on it from either my home computer or work computer. Now if only I could adjust my Adobe Illustrator workspace to fit what I actually use. On that note, I always wonder: why isn't the Pathfinder tool (something that I use pretty much every time I am working in Illustrator) part of the Essentials Toolbar? Some things that Adobe does, I will never understand. This week, if possible, I'd like to teach myself a song on the ukulele. I tried messing around for a few minutes a couple days ago, but I think I need more time to determine if I can learn something in time for my family's (very late) Hanukkah party. I also want to finish the mobile designs of my blog redesign and make a decision about whether I'm going to stay with Blogger or leave. I suppose the #1 reason making me hesitate is the writing interface of Blogger. I must admit I actually really like it, even if it doesn't provide me everything I need. If there's some kind of writing app that I can use with code, that would be awesome. I'll have to see if IA Writer actually does what I think it does, which is translate a styled Microsoft Word interface to code. Finally, I'm hoping to create a plan of the locations of all my files and document where everything exists. It would be a good mini-exercise in document management, which is incidentally also a good skill to have in terms of a company. If I find an extreme talent in my own processes, maybe I could redesign the structure for EventMobi (who desperately needs it). Since I started working with Creative Cloud in 2014, I have never really embraced it the way I have done in the past six months. I mean, I haven't been using their cloud services to store files, that's a trainwreck for sure. But in other ways, like updating regularly and noticing the changes, attempting to understand the seemingly inane purpose of Typekit, and saving my interface setups to the Cloud to use on any computer, I've really become a power user of the service. But these frequent updates...man, I don't know about those. It's really a mixed bag, as I see it now. Adobe sends out updates and fixes more quickly than they used to do once every few years (which now seems like a snail's pace), but sometimes as I notice and utilize these constant changes, I wonder if it is perhaps at the cost of user testing. They often feel strange and not as human-centered as they once were, in favour of something that seemed like a good idea in theory but just doesn't translate in practice. That said, it is also true that I am experiencing what feels like a lot of change but is really only happening over a shorter time frame. So perhaps in the long run (otherwise known the same time it would take to release an old-style hardware version of the Adobe Suite), they truly do gain better results. Either way, it's undeniable that it's more irksome to users this new way. Ah well, I suppose it's all in the spirit of agile development, right? Now, if only they could respond better to the Adobe Forums. I feel like forums are a strange sort of help desk. Don't they have the resources to respond to people personally? Anyway, that's a story for another day. In case you didn't know (much like me shortly before writing this post), Twitch is a live-streaming website where a lot of people like to stream themselves playing video games and other cool, nerdy stuff. 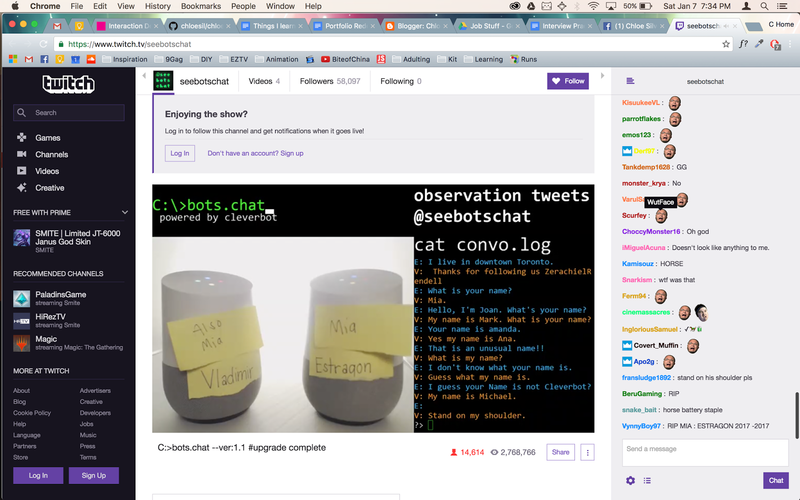 I have never actually been to the website until yesterday, when I found my way to a livestreaming video of two Google Home systems arguing with each other. The video (with sound) and live transcript are in the center, with an endless scroll of audience members on the right side. The whole thing was hilarious, but also felt somehow a little clandestine. The chats were hilarious, and moved SO FAST. This gif is a screencap of a few seconds, not sped up. Anyway, it was pretty funny to watch them argue, mishear each other and go on crazy tangents, and tell each other they love each other. Kind of...like humans, don't you think? I urge you to watch the recorded version here. It's still pertinent.